One person was killed and another seriously injured in the southern French city of Marseille today after a van ploughed into people at two different bus stops. 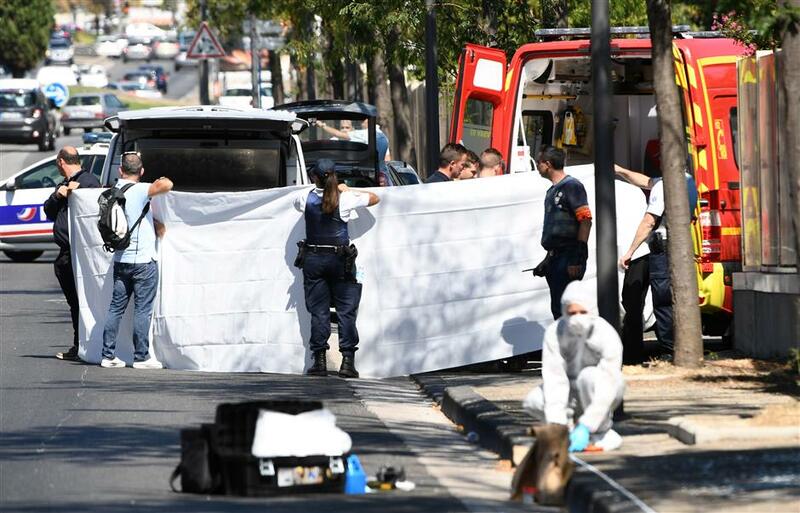 A white sheet is erected as a body of a victim is evacuated to a waiting ambulance while French forensic police officer search the site following a car crash on August 21, 2017, in the southern Mediterranean city of Marseille. One person was killed and another seriously injured in the southern French city of Marseille today after a van ploughed into people at two different bus stops, police sources, adding that the suspected driver had been arrested.